People often ask me about my favourite wine region. Without any hesitation I would say it is Bordeaux in France. There is just something about the complexity and the aging potential of wines from this region which fascinates me. They say that wine is the expression of a place and for me just a sip of a wine from Bordeaux, doesn’t matter if it is a luxurious first growth or fifth growth, Grand Cru Classé, Cru Bourgeois, Grand Vin, second or third wine, which brings out the sensuality of the region and poses a cerebral challenge in terms of getting through the depth of its myriad layers. Bordeaux is the largest fine wine district on earth comprising of Médoc to the north of the city of Bordeaux and Graves to the South, both on the “left bank” and the “right bank” areas consisting of St Emilion and Pomerol. It is known the world over for its red wine blend of Cabernet Sauvignon and Merlot, a small production of very sweet Sauternes, and some unique dry whites made in the Graves. We are all familiar with the big players in Bordeaux like Château Latour, Lafite, Mouton Rothschild, Margaux, Haut Brion, but sometimes, it is the lesser known names which makes one sit up and take notice, because of the exceptional quality of wines that they produce. One such name is Château Malartic Lagraviere, located in the commune of Léognan, in the heartland of Graves, blessed with a soil which makes both red and white wine equally well. The first time I heard the name Malartic Lagraviere was from wine enthusiast Rajiv Kehr, the only Indian to have been honored with the title of Chevaliers du Tastevin, an exclusive club of Burgundy wine lovers. 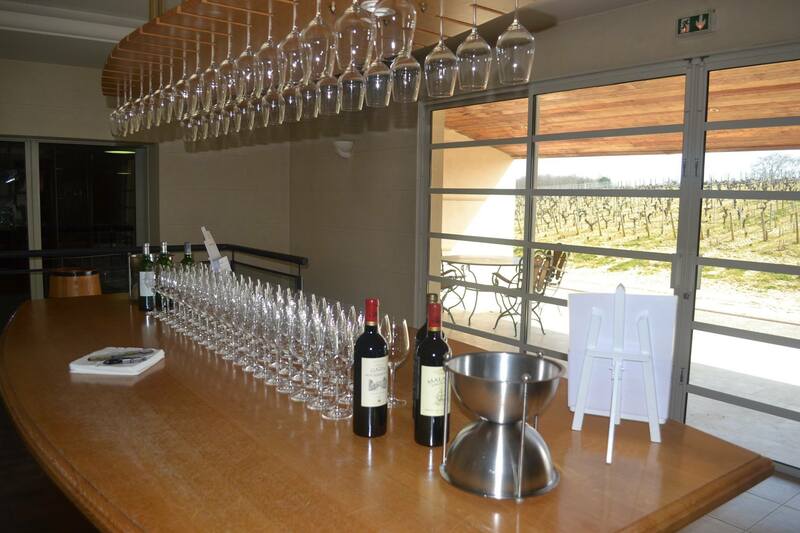 He had just returned from a trip to the beautiful vineyards of Malartic, located in the oldest wine producing terroir in Bordeaux, where he got the opportunity to taste some very impressive wines, especially the whites. He managed to persuade the owners to showcase their wines in India and this is how I met Veronique Bonnie Laplane at a Chateau Malartic Lagraviere wine dinner held at Zanotta, the Italian restaurant at The Leela Ambience Gurgaon, recent winner of the Times Food Award for the Best Italian fine dine restaurant in the NCR. Speaking with Veronique over breakfast I came to know that Chateau Malartic-Lagraviere is one of only six classified growths known for both its red and white wine in Bordeaux and is ranked among the Premier Crus in the Classification of Graves Wines of 1953 and 1959. Originally known as Domaine de Lagraviere it has always been recognized as having a terroir of quality. It was bought by her parents Michèle and Alfred- Alexandre Bonnie at the end of 1996 from the Champagne group Laurent Perrier. 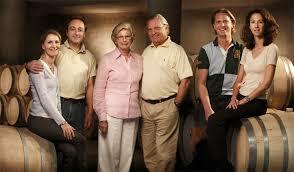 Being great wine enthusiasts they were drawn to the exceptional terroir and the immense potential of its wines. Thus began the renaissance of Malartic Lagraviere with the introduction of the latest concept of sustainable farming techniques in the 53 hectare (131 acres) estate and a thorough modernization of the entire wine making facilities. They introduced temperature controlled stainless steel vats and new oak vats and brought vast improvement in viticulture practices which involved a cautious use of agrochemicals. All this led to achieving new heights in the quality of its wines, the Grand Vin Chateau Malartic Lagraviere both Red & White, a second wine Sillage de Malartic and a rosé Le Rosé de Malartic. In 2005 the family acquired the neighbouring Château Gazin Rocquencourt and a single estate of 130 hectares in the foothills of the Andes mountains in Argentina, Bodega DiamAndes within the very heart of Clos de los Siete (Mendoza-Uco Valley). Things started to move around with the 2009 and 2010 vintages, clearly the best ever produced, particularly for dry white wines. 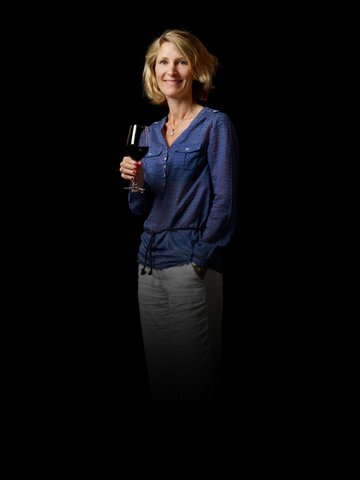 All the three estates Chateaux Malartic Lagraviere, Chateau Gazin Rocquencourt and Bodega DiamAndes are co-managed by Veronique Bonnie Laplane and her brother Jean Jacques and they are helped by their respective spouses, JeanJacques’s wife Séverine and Veronique’s husband Bruno Laplane. Among the wines that I tasted at the Chateau Malartic Lagraviere Wine Dinner at Zanotta was a superlative white, the Château Malartic Pessac Léognan AOC Blanc 2010, a medium-bodied crisp lime-lemon, floral, herbaceous wine with a nose of gooseberry and pear & honeydew melon on the palate and a wonderful sweet citrus finish. It had 80% Sauvignon Blanc and 20% Semillon and was very expressive of the gravel, clay and limestone soil of Graves. This was my first exposure to a Bordeaux white and I loved it. Next was a Château Malartic Lagraviére Pessac Léognon Rouge 2008, a very classical expression of what they do, lot of fruit, blackcurrant, and tobacco with soft rounded tannins and potential to age. The 1989 vintage was intricate like “Lace”. Very pronounced graphite, elegant tannins and a long finish. 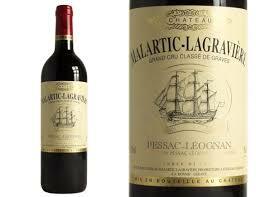 The Château Malartic Lagraviére Pessac Léognan AOC Rouge 2000 was 50% Merlot and 40% Cabernet Sauvignon. It had a good balance between fruit, acidity and tannins, and a lovely long length. I also tasted a Chateau Gazin Rocquencourt Pessac Léognan AOC Rouge 2007 which is often called the “younger brother” of Malartic. The philosophy and style behind it the same as Malartic but it has less ageing potential. A very special feature of wines from Malartic are that they are made by using the principles of sustainable agriculture and for a few hectares they use biodynamic methods of farming which views the farm as a cohesive interconnected living system and produces wines which are more vibrant in taste, have a better expression of terroir and remain drinkable for a longer time. 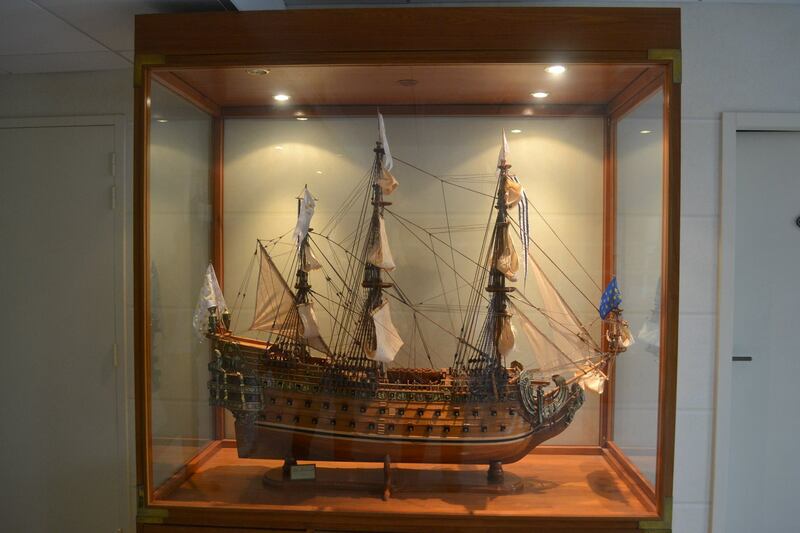 There is a meticulous attention to detail and no use of insecticide. Veronique Bonnie Laplane talked about the challenges that they constantly face in terms of the impact of the vagaries of nature, 2013 being a particularly challenging year for Bordeaux, and the importance of taking timely decisions. They are always striving for quality which goes a long way in making their wines well known all over the world for its complexity, elegance, intensity and balance. 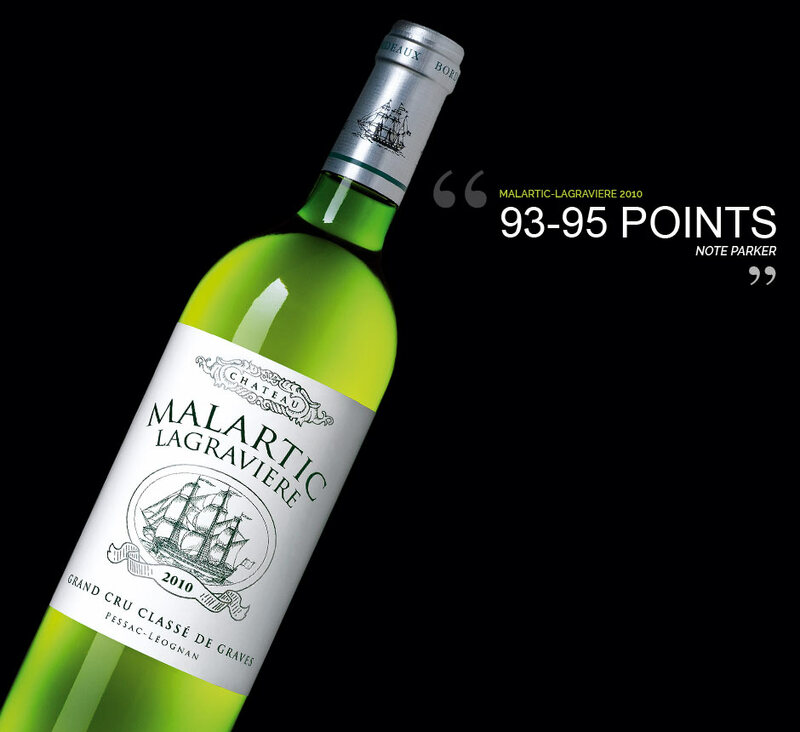 I sincerely hope that we get to see Chateau Malartic Lagraviere Grand Cru Classe De Graves in the Indian market very soon.